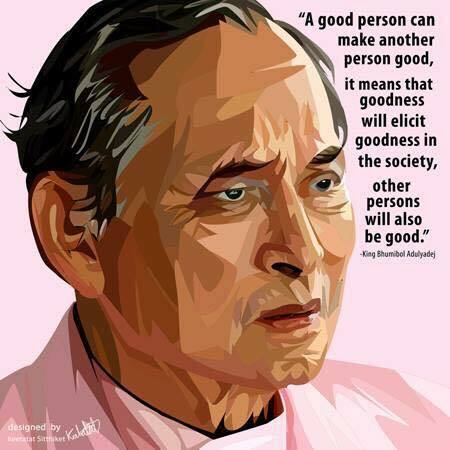 It's time to say Goodbye to October 2016 and the big news this month was of course the passing away of King Bhumibol Adulyadej at the age of 89 years. He was the ninth monarch of Thailand from the Chakri Dynasty as Rama IX and he has reigned since 9 June 1946, a total of 70 years and 126 days which at the time of his death, made him the world's longest-serving head of state. 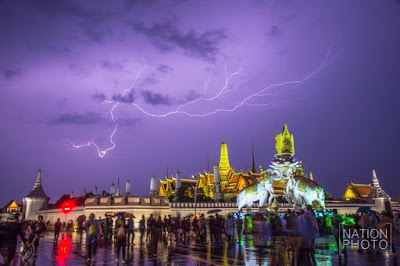 The whole country went into morning and a one month period of mourning has been declared during which all events around Thailand were cancelled and/or postponed. 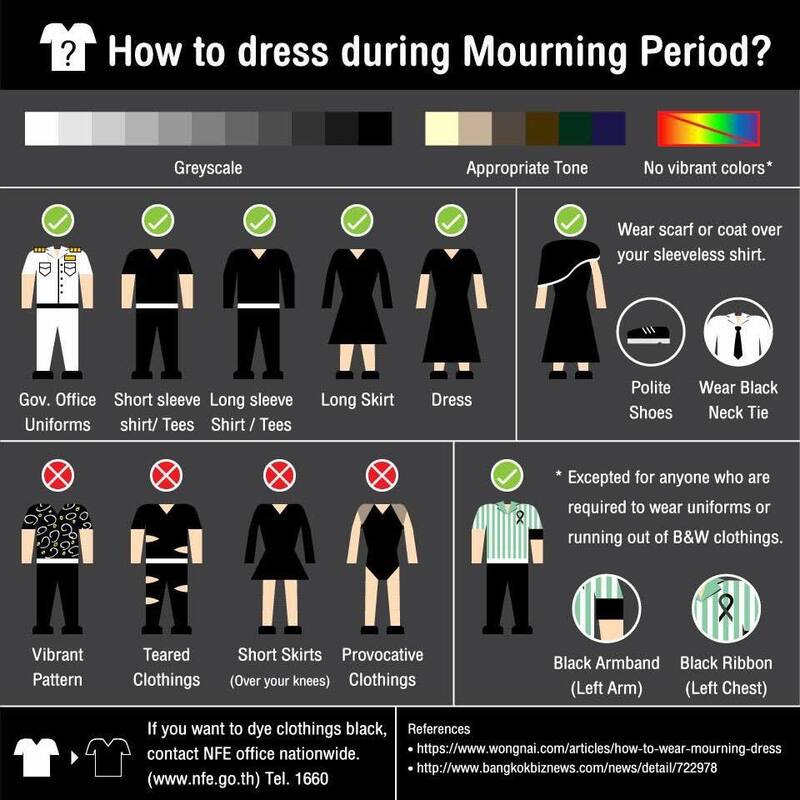 There will also be a one year mourning period, during which Thai people will wear either black or white clothes and although tourists aren't expected to wear similar clothes during this one year mourning period, it will be appreciated if they still will wear sombre or dark colored clothing. From a weather point of view, the first two weeks of October were very nice with plenty of sunshine and nice all around conditions. The third week has already a bit more rain leading into the last week of this month which showed signs of the approaching monsoon or rainy season with lots of rain. In general not a bad month for the weather and it looks like next month we will see the start of the monsoon season. All the races I had scheduled for this month were either postponed, like the Run to Give or Mad Hatter run and will now take place Sunday 27th November and I will try to run this race now on Phuket, where I should be and unfotunately the Koh Phangan full moon marathon was cancelled alltogeher. My sister visited as well, but I only managed to see her and her husband towards the end of her stay and we had a great dinner at Kobori, the Japanese restaurant in Maenam, almost every month we go out for dinner there. Although November is supposed to be the rainy season, I am looking forward to this month, since it allows for great running conditions. The start of a few months with not so hot temperatures, ideal to run faster compared to the warmer or hotter months. The other part to look forward to is actually the rain! Koh Samui needs rain since the ground water levels are dropping and need some filling up! Big Buddha on the small island of Koh Farn, reacable by a paved causeway nowadays. It's a very touristic attraction and hundreds of people visit each day. This in turn also attracted a lot of shops on the small island, ranging from two ice cream shops, to some combined restaurant and souvenir shops and lots of 100% souvenir shops. It's still a great place to visit, since the Big Buddha is an impressive 12 meter high statue with a stunning view over the Bang Rak bay, all the way over to Bophud. View over Patong on Phuket, coming over the hill from Karon. Patong is the most touristic part of Phuket, where you can find the most hotels, restaurants, souvenir shops, touts, shopping malls and also the famous nightlife in Bangla Road. On the othert hand, there's also a stunningly beautiful beach there, since ther must be a reason why everything and everybody flocked together here. Usually it's a part of Phuket that I try to avoid, but for the current two week teaching period of the October PADI IDC on Phuket, I have to go here every day and it's a differnt experience compared to Kata, where I stay when on Phuket. The forecast for the next ten days on Koh Samui changed a little bit and for the better. By tomorrow aftenoon the clouds should start breaking up a bit and we may have partially clouded skies with occasional tropical showers. For the time of the year not too bad at all, it beats non stop all day rain, like the monsoon period can have sometimes. It does look though that the rainy season has arrived on Koh Samui. The current October PADI IDC on Phuket has reached it's half way mark here and we're in the thickst of it! Going strong and keeping at it! The forecast predicts plenty and hard rain today and plenty for tomorrow as well but not as hard as compared to today. The clouds may ease up for a few days although tropical showers are still likely and towards next weekend more rain is expected. It seems that the monsoon is about to start. The roundabout in Karon on Phuket, an iconic landmark that can't be missed when travelling the Karon beach road. Durimg my training runs I pass this very often, it's just past my half way mark on my most regular run. 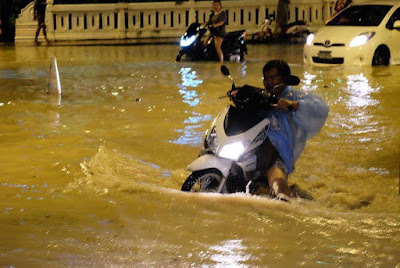 The forecast shows plenty of rain for today around koh Samui and for the next two days. Mid week it might ease up again with partially clouded skies but come next weekend, the rain might be back in full force. Slowly it seems we are moving towards the rainy season. Near our house in Plai Laem, a shirt is wrapped around a tree, to cover a fruit and protect it from being eaten by birds. Have you ever seen anything like this before? Most of the time Thais seem to use plastic bags to cover the fruit and not clothes, like here, This looks rather funny. The forecast didn't change much, as of tomorrow clouds should move in again with lots of rain during Sunday and Monday, it might clear up after that for the rest of the week but come the first November weekend, it's clouds and rain again. Chaweng beach yesterday, lovely and flat surface, almost as flat like a mirror. Enjoy it whilst it last since during November, the monsoon may start on Koh Samui and the wind will change and Chaweng beach may have big waves. For the time being however, it's fantastic. Be careful though and swim fully clothed, be aware of box jelly fish around Samui's popular beaches. The forecast for Koh Samui did change overnight. Tomorrow may be the last of a nice. warm and partially sunny day for a few days to come. Over the weekend heavy cloud layers are supposed to move in loaded with plenty of rain and towards the first November weekend, more rain and a bit of wind are expected to hit Koh Samui shores. Is that the start of the rainy or monsoon season after all? The next Samui Green Market is Sunday 13th November at Fisherman's Village at the Elysia Boutique Resort and starts around 3pm. The six week rhythm is well kept in place and it's time to get you goodies again, like real good bread and other kinds of healthy food. Don't forget to bring your own non plastic bags. Besides the shopping options, there are also always some other things to do, but at this stage no details are available yet, but most likely there will be music and things to do for children. 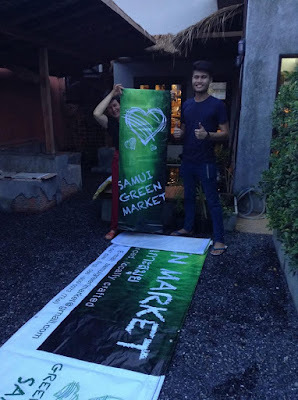 The Samui Green Market designed reusable vinyl banners for the Samui Green Market​ three years ago, and they are still using them. Thanks to Monticha and Benjaphon Iamvatcharin​ for creating the logo and donating the banners. Looking forward to be back on Koh Samui by then and visit the next Samui Green Market is Sunday 13th November at Fisherman's Village! Hope you can make it too. 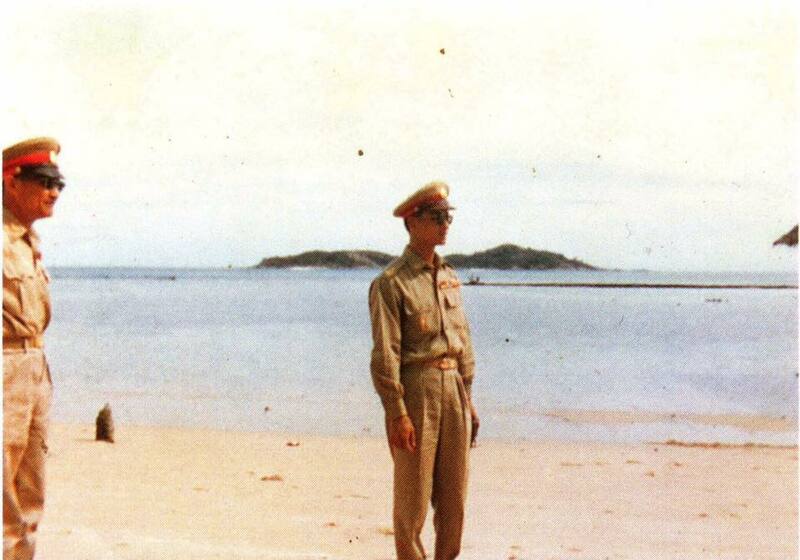 King Bhumibol Adulyadej on Rawai beach on Phuket back in 1959. 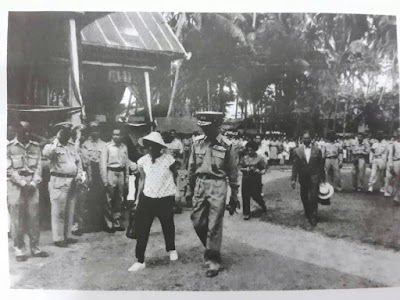 A time during his reign when he travelled a lot and visited many cities and villages around the country. Today I start to team teach a big PADI IDC with a fellow PADI Course Director and old friend of mine. Big Buddha at Koh Farn, a small island connected by a causeway. Big Buddha was build in 1972 and is 12 meters high. The Big Buddha sits in the Mara posture, with the left hand’s palm up resting on the lap and the right hand facing down, the fingers hanging over the knee and grazing the ground. It depicts a time during Buddha’s journey to enlightenment where he successfully subdued the temptations and dangers thrust at him by the devil-figure Mara by meditating and remaining calm. The pose is a symbol of steadfastness, purity and enlightenment. A mosque near Panwa on Phuket. The South of Thailand has a fairly large Muslim population and mosques can be found at many locations, not always as big as this one. 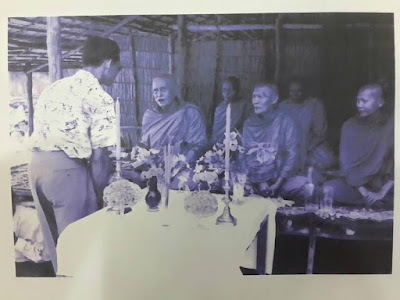 In general the Buddhist and Muslim Thai population live together in peace, except for the three Southern provinces of Pattani, Yala and Narathiwat where an insurgency has been going on for decades. The forecast for the next ten days hasn't changed that much. The wind has now mostly gone, cloud cover should clear up a bit and there will be occasional showers. Fairly typical for this time of the year before the monsoon season kicks off. This morning I'm in Surat Thani town, en route to Phuket. We had dinner with a whole bunch of old school friends of my wife and early morning I drove my family down to the ferry, back to Koh Samui. In an hour or so I will hit the road again and drive down to Phuket. That's us yesterday, waiting at the Seatran port in Nathon, to board a ferry heading for Donsak on the mainland. Sailing was smooth and there were no waves to speak of. The Saan Lak Mueang or city pillar in Surat Thani town. Lak mueang (หลักเมือง) are city pillars found in most cities of Thailand. Usually housed in a shrine (ศาลหลักเมือง) which is also believed to house Chao Pho Lak Mueang (เจ้าพ่อหลักเมือง), the city spirit deity. They are held in high esteem by their citizens. The forecast for Koh Samui and the next ten days is looking good, especially this time of the year. The wind should be dropping each day no and by tomorrow afternoon it should pretty much have gone. Most days are expected to be cloudy to partially cloudy with some tropical showers towards next weekend. The monsoon that looked like it had arrived, seems to be still relatively far away. In a moment we're off for the day to Surat Thani and tomorrow I will continue my travels to Phuket, to assist a friend and fellow PADI Course Director in a big PADI IDC Course. The forecast for the next ten days will see the strong winds fizzle out by Tuesday and for a few days we may see some sunnier skies again. Around next weekend there should be plenty of rain starting to come down and maybe, just maybe this could be the monsoon season starting to knock on Koh Samui's door. One of the many 'Rua Chak Phra' vehicles on the road, this time in Bang Rak. All the temples around the island bring out their 'floating boats' and drive them around the various parts of the island. It's also happening on the mainland and it's an annual event. 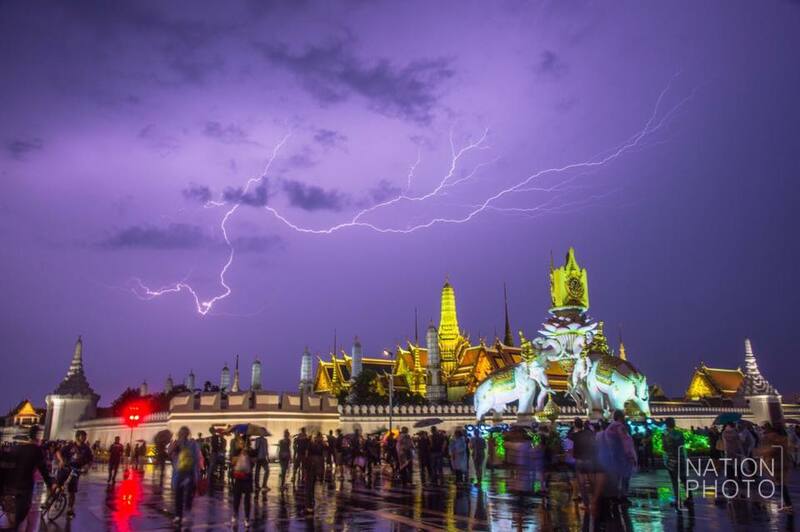 This festival celebrates the official end of the annual three-month Buddhist Rains retreat (Phansa). 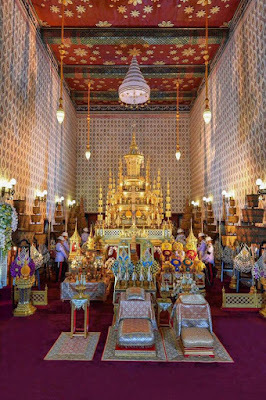 The Chak Phra Festival literally means the procession of hauling the Buddha images. The forecast didn't change much for the next ten days. Very strong wind until Tuesday with storm like wind gusts today. From Wednesday onward the wind, the clouds and most of the rain should have gone. 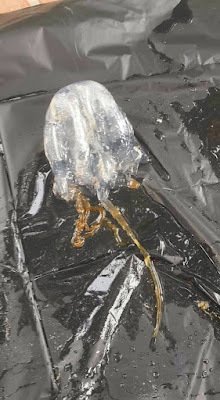 This recent Monday this beautiful but very dangerous species of a Morbakka box jelly fish species was caught on Chaweng beach in around 80 cm of water. Potentially this species can even be lethal. A day later two more samples of the same Morbakka box jelly fish species were caught again at the middle of Chaweng Beach. The box jelly fish season is not over yet and caution is urged when swimming at the Koh Samui beaches, especially at the East and Northern beaches. The season typically runs from August to December or January. However, that doesn't mean that outside of the 'season', there will be no box jelly fish around. Chances of an encounter are already very low but are even lower out of season. Most of the hotels around Koh Samui now have awareness and prevention measures in place. As already mentioned, chances of being stung are low but it's good to be aware and know what to do in the unlikely event you witness a box jelly fish incident. 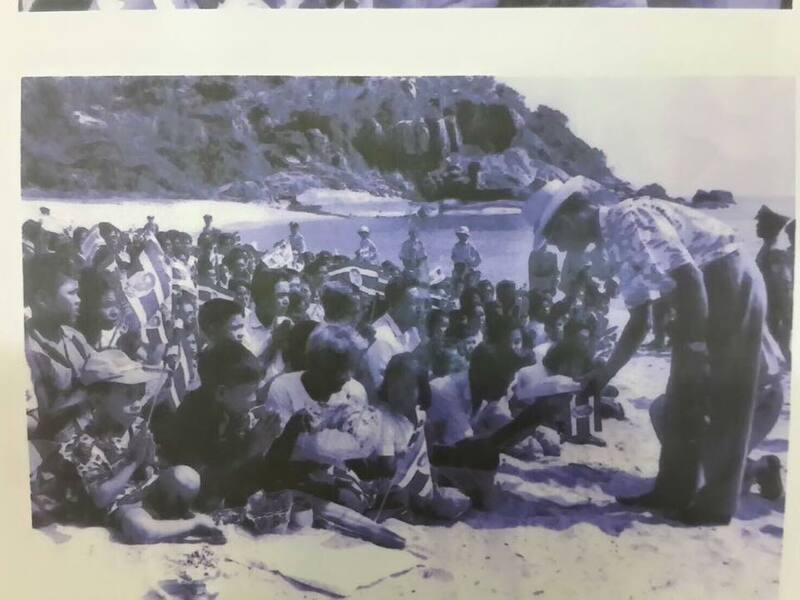 At Lamai beach there are now beach and life guards located and all other beaches should have warning signs erected and hotels and resorts should have vinegar stations on the beaches with plenty of vinegar back up. There's a very pro-active attitude among the hotels and local government on Koh Samui, of which I regularly made updates and posts on this and my dive blog. If no vinegar is available, use soft drinks. This post is to help you to be aware when you witness a box jelly fish incident. Help your self by wearing stinger suits or full body protective clothing. 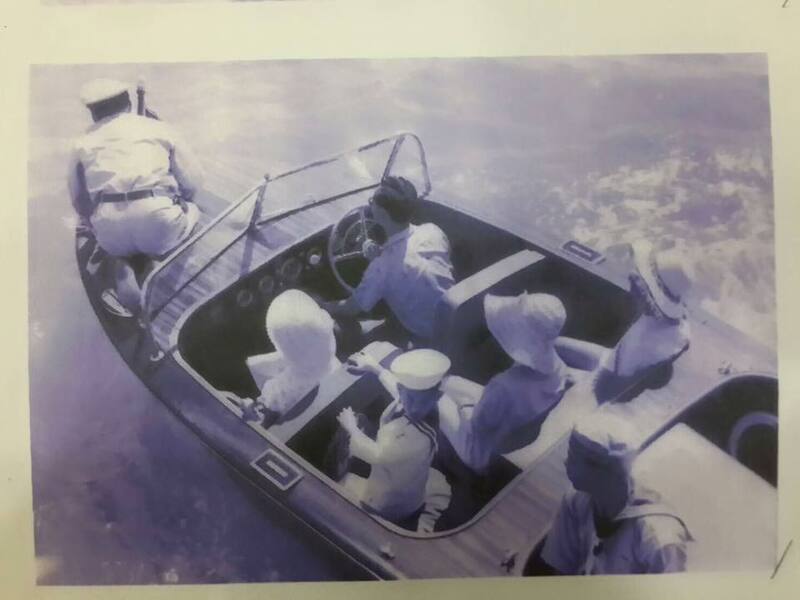 HM King Bhumibol in a speedboat on his way to Koh Samui in 1962, the only time he visited our island, as far as am aware of. His various children visited Koh Samui on various occasions. 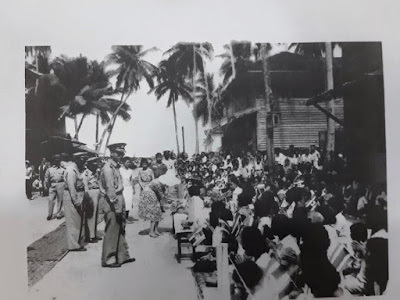 The eldest daughter (formerly HRH) Princess Ubolratana Rajakanya was in the Chaweng Swensens about ten years or more back and his son Crown Prince Maha Vajiralongkorn was here various times. The other two daughters may have visited Koh Samui, but I'm not aware of it. The forecast for the next ten days remains stable and is looking good. Over the weekend heavy clouds are expected with possibly a storm tomorrow, on Saturday and some rain. Come Wednesday, the clouds, wind and rain should have gone and it may get warm, nice and sunny for a few days. The monsoon season still seems to be relatively far away and so far this October has been rather nice. 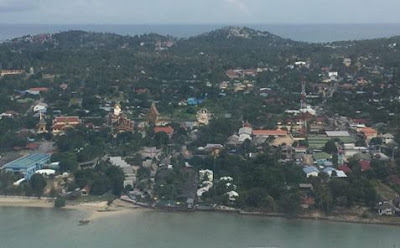 Arriving on Koh Samui by air and coming in over Plai Laem, this is the view if you sit on the left side of the plane and have a window seat. The Wat Plai Laem or Wat Laem Suwannaram complex can clearly be seen with all of it's big statues of Meh Guan Ihm and the sitting fat man and buildings. Big Buddha is just out of this picture. Yesterday saw a partially clouded sky with heavier clouds towards the end of the day and early evening, during which we had a few isolated drops of rain where we live in Plai Laem but other parts of the island may have had more rain. Max temp reached 31C, a nice temperature. The forecast for the next ten days has had a slight change again, although mostly remains similar to previous predictions. It should be partially clouded today and tomorrow with a change over the weekend with strong wind, storm like again, at times, to fizzle out by Tuesday and be nice and partially sunny with all wind pretty much gone. During this whole ten day period, no more than just an occasional tropical shower is to be expected, also during the coming weekend. The weather forecast for the next ten days has changed a bit, a lot less is now predicted and come next Tuesday the wind should have pretty much gone. During this ten day period it's supposed to be partially cloudy and besides some tropical showers, no real rain is expected. The island's drought is continuing. Already a bit over a week ago a paid a visit to the Phuket Marine Biological Center (PMBC) in Panwa. The Phuket Marine Biological Center or PMBC is located at the Phuket Aquarium premises and it's a bit of a way out from the rest of Phuket but for me it was well worth the extra mile since it was also a great opportunity to meet Khun Somchai Bussarawit, Marine and Coastal Protected Area Management Specialist and the first marine biologist in Thailand to study box jelly fish, since around 2008. The Phuket Marine Biological Center is a Marine and Coastal Resources Research and Development Institute and is part of the Department of Marine and Coastal Resources and funded by the Thai government. There are four research institutes of the PMBC, one in Samut Sakorn (near Bangkok). one in Rayong, one in Songkla, one in Chumpon and the main institute on Phuket itself. A visit to the Phuket Marine Biological Center (PMBC) in Panwa; One of the many box jelly fish species that are preserved. This species is a morbakka, often found in Thai waters. It was interesting sitting down with Khun Somchai, discussing ways how we can help each other, since I have a non scientific background, but am very interested and aware of what is going on with box jelly box fish in Thailand and to a degree, in surrounding countries. A visit to the Phuket Marine Biological Center (PMBC) in Panwa; Portuguese Man'O war on display. They were recently found on Northern Phuket beaches and are still showing their original blue colors, showing how 'fresh' they are. The Portuguese Man'O War has so far not been sighted on the Gulf of Thailand. 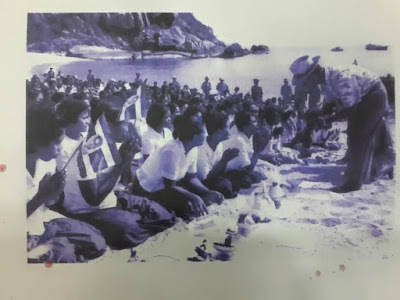 With the surrounding countries, there's a challenge for Khun Somchai, since no other South East Asian or Asian country at the moment seems to be so involved in box jelly fish research as Thailand. 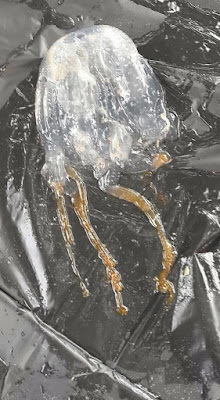 Recently a first meeting with participants from among other China, Malaysia, Vietnam and Indonesia have met, but there are more countries that deal with box jelly fish in the region that hopefully will get involved more in the (near) future, like the Philippines. A visit to the Phuket Marine Biological Center (PMBC) in Panwa; With Khun Somchai Bussarawit, Marine and Coastal Protected Area Management Specialist and the first marine biologist in Thailand to study box jelly fish, since around 2008. From my end I am looking into how I can get the dive community become more aware and involved in the box jelly fish situation in Thailand. Right now I'm following up on some of the discussions and ideas that came up when talking to Khun Somchai. As you can see, there's a lot of research going on about box jelly fish in Thailand and a lot goes on behind the scenes, like at the PMBC. It was a very interesting opportunity to get to know Khun Somchai and see the facilities at the PMBC. Hopefully this will all bear fruit in the future! If you plan on visiting Big Buddha today, the whole Koh Farn island on which Big Buddha is located, will be all day without electricity. This mourning set up is what I saw yesterday at the Makro outlet at the Chaweng ring road. Many organizations will have similar displays and you can also sign a condolence register, hence the chair, so you can sit down and sign the register. More and more practical tips on how to behave, what to do and now how to dress come out and about. 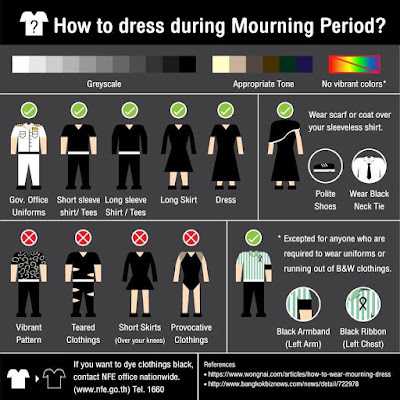 This is a good chart on how to dress during the mourning period and my be helpful to many people who aren't sure of what is or isn't acceptable or good form to wear. This chart is also available in Thai language. Other Government guidelines now mentioned that it's fine to open bars and nightlife venues again, but without music and it also stated that sporting events can go ahead again. The forecast for the next ten days around Koh Samui changed slightly. The storm like winds seem to have disappeared, but there are still strong winds to be expected until next week Monday to Tuesday night, with occasionally some hard rain. The last week of the month might be a lot nicer and sunnier again. The swimming pool near the beach at the Tongsai Bay Hotel, where my sister and her husband just stayed for two weeks and where her son is completing an internship as part of his studies. One of the longest standing high end resorts on Koh Samui. Currently they are having construction which leads to reduced room rates, maybe the one time chance to be able to stay here? The weather forecast for the next ten days over Koh Samui predicts an increase in wind, at times even storm like conditions until next Monday with some heavy but relatively short showers. Come Tuesday next week it all should slow down and the wind should pretty much disappear and we may have the sun coming back again. 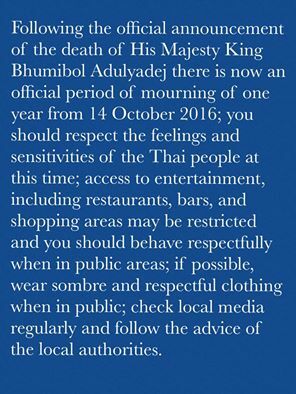 Here are some very good Recommendations regarding Mourning Period for His Majesty King Bhumibol Adulyadej, partially advised by the TAT or Tourist Authority of Thailand. 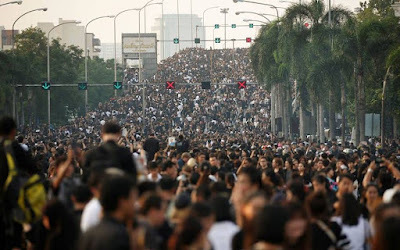 In a very short version, be respectful of and towards the Thai people and the whole nation dealing with their loss and their mourning, during the one year mourning period that has been announced including a one month period during which all entertainment events have been postponed or cancelled. Right now, it's first of all very important to point out that everything is happening very peaceful although if there are things that are inconveniencing you, maybe that no alcohol is served for a few days and that entertainment venues, disco's and bars are closed, keep in mind that's it's temporarily. 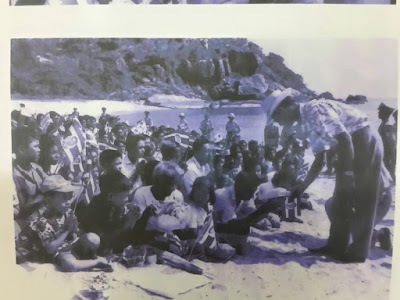 The following link is well worth reading, it is the official version of the TAT or Tourist Authority of Thailand, check it out here. Please read up, inform yourself and act accordingly. TAT would like to thank all visitors for their understanding and supporting Thailand during this period of time. 14 October 2016 at 16.00 hrs. Here's a link by TAT, with the latest updates on cancelled, postponed events and status of popular tourist attractions, please check here. 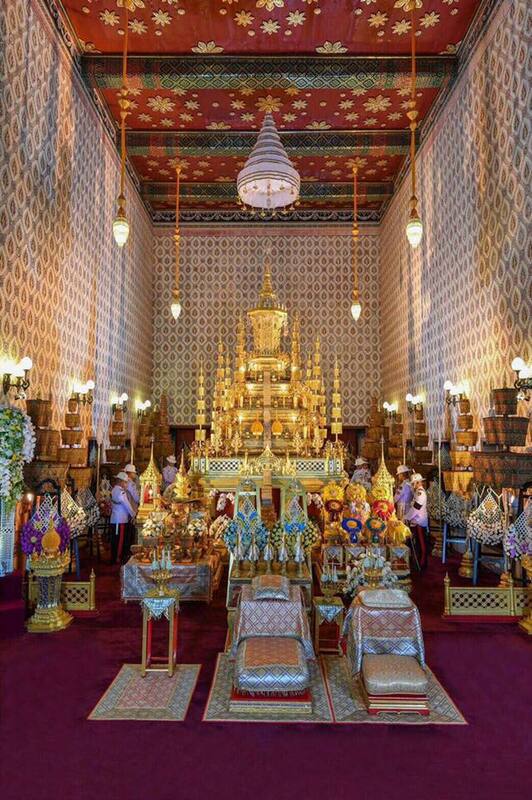 Here's a link that explains how the Funeral Rites for King Bhumibol Adulyadej are expected to proceed, check the link here. 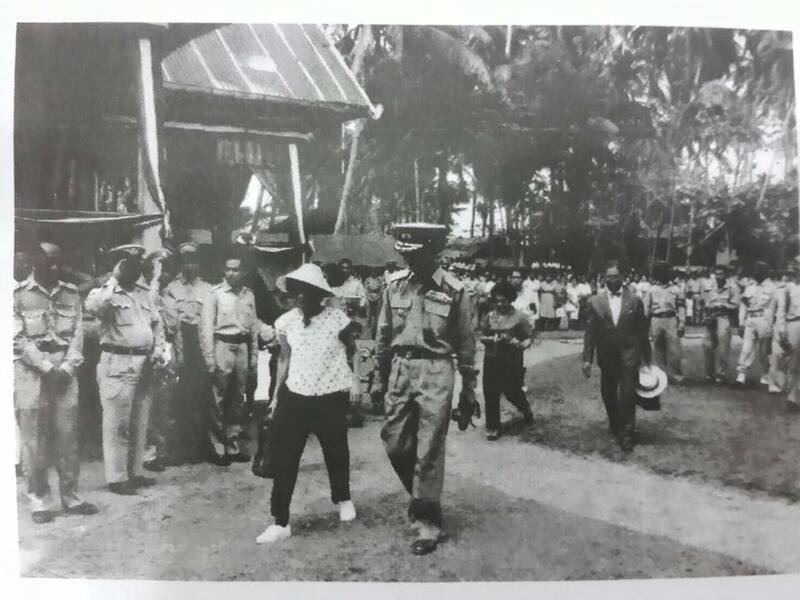 It has been 70 years ago that Thailand had to say goodbye to a King, so it's a rather unique event, just as this mourning period is. Hope this helps for now, keep an eye out for any updates, through my blog and many other social media outlets that deal with this issue and topic. Thanks. A very late update today since I started with a half marathon distance training run, 1:57'24.4 over 21.41km or a 5'28 pace, just in case you're interested (or not) and than after I took a shower it was straight off to Fisherman's Wharf for a breakfast goodbye meeting with one of the Samui runners, who is leaving back to Russia for six to nine months. 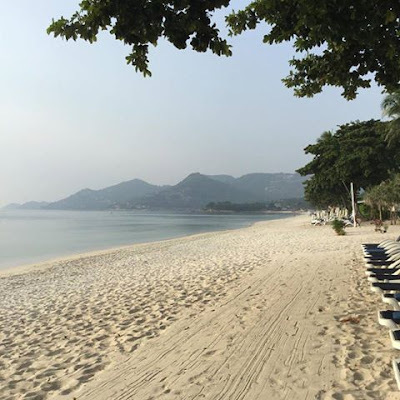 Today should also have seen the 3rd Mad Hatters run which is postponed and new dates are still to be announced and the Full Moon Marathon on Koh Phangan, which has been cancelled, just like today's Full Moon Party. This should have been the first time that I would have run two races on one day, but it's not to be, for the time being. These are just a few of the cancelled or postponed events, due to the one month mourning period, announced in Thailand. Yesterday saw a nice, partially sunny and partially cloudy day with a good breeze and a max temp of 33C and it stayed dry around the island. The drought is not getting better! The forecast for Koh Samui's next ten days keeps changing slightly at the moment. Some afternoon rain is expected tomorrow and Tuesday and from Wednesday to next weekend a very strong wind is due, possibly with storm like conditions at times and light rain just before and during the weekend. The late HM King Bhumibol Adulyadej visited Koh Samui back in 1962 or 2505 according to the Thai calendar. Yesterday I found a whole set of pictures from his visit online, from which I knew only one or two pictures. Yesterday thousands of people came out to pay respect to his late HM King Bhumibol Adulyadej when his body was transported from Siriraj hospital to the Grand Palace in Bangkok. The streets were packed with grieving Thai people, all dressed in black or white clothes. The forecast for the next ten days around Koh Samui and it's surrounding islands has just changed slightly. It should stay mostly cloudy until next weekend, with the wind picking up as of Tuesday afternoon, accompanied by an occasional tropical shower. Next weekend should see a very strong wind blowing around the island but the cloud cover should be easing up.